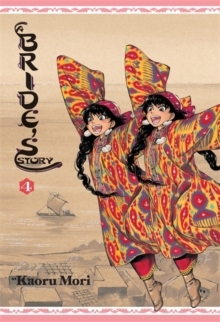 22 cm 192 p. : chiefly ill.
Acclaimed creator Kaoru Mori's tale of life on the nineteenth-century Silk Road turns westward, following Englishman Mr. Smith on his long journey to Ankara. Passing through a fishing village along the Aral Sea, Smith and his guide encounter a pair of spirited young girls named Laila and Leily-identical twins who are fishing not for sturgeon, but for husbands! Despite their efforts to find two wealthy, healthy, and handsome brothers to wed, Laila and Leily's plans generally only land them in loads of trouble!